Creating a unique and user-friendly website quickly and effectively can be a stressful and cumbersome task. There are endless possibilities in the world of web design that can make even the simplest decisions, such as choosing a color palette, almost impossible. Fortunately, there have been many other web designers before us that have struggled with these same tasks, and have kindly created and shared with us an array of design freebies, databases, and search engines in order to facilitate our work. That is why we created this list with 51 free web design resources guaranteed to help you design better! You will find everything you need, from freebies, free stock photos, color palette generators and much more! The following free web design resources will help you create a better website and enhance its appearance with just a few clicks! Freebbble is home to 1000+ design freebies including user interface kitsand e-commerce themes made by Dribbble users. One of the largest online platforms for designers, with over 400,000 users, Dribbble is the go-to website for discovering and connecting with designers around the globe. Pixel Buddha specializes in creating free resources to help you complete professional tasks, available for both personal and commercial use. WebDesignDev is a design blog that offers a number of design resources, such as templates, PSDs and much more. 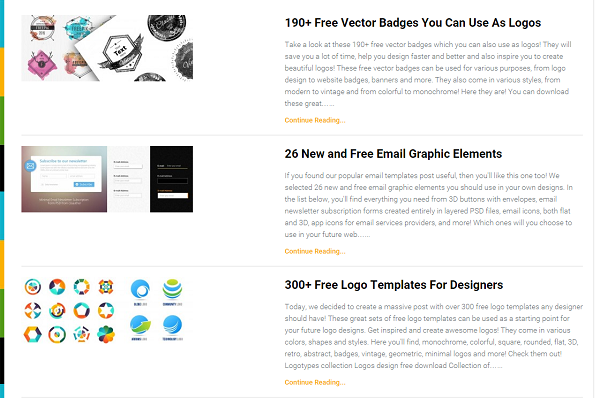 The freebies section is filled with free PSD roundups, icons, stock photos, logos and more. 365 PSD is a huge database, offering millions of free, high quality graphics. Marvel offers an easy way to turn your digital ideas into realistic web and mobile prototypes. Pixeden creates free, beautifully craftet graphic, design and web resources. Teehan+Lax is a file that contains virtually everything needed for creating any kind of software. It’s available for both iPhone and iPad, in a labeled and vector-based format. Tech&All provides fonts, text effects, UI elements, icons, mock ups, templates and navigation resources. The one place for all the stock images, stock videos, sound effects, and mock ups you could ever need. Palette generating tool for creating a stunning website. Just pick two colors and done, it’s as easy as that! Another palette generating tool that lets you choose between different formats. Skala Color is a feature-rich OS X color picker. It works with iOS, Android, and OS X, and much more. This color palette is made up of primary and accent colors that have been designed to work harmoniously with each other. It can be used for Android, Web, and iOS. This plugin extracts dominant colors from images and applies the color to the background. This tool will help you find sets of colors and based on those sets it will determine the perfect color palette for your website. Color picker for finding the best colors for flat designs. UI Colors is another great choice for choosing the best colors for flat designs. An archive that showcases a variety of flat design projects, like apps, portfolios, and a great variety of websites. UI Cloud is the largest UI element designs search engine. It allows designers to showcase their best UI designs and helps developers find the best UI elements for their projects. Offering over 19 million real marketing examples, Crayon helps marketers with tracking their market and building better websites. Behance is the leading online platform for showcasing and discovering creative work. It works by collecting designers’ work and broadcasting it worldwide for companies to access. The Starter Kit is a database that helps you find different templates, fonts, colors, textures and more for building your website. UI Parade offers inspiration related to UI design, as well as developing tools, resources, and workflows for UI designers. Agile Designers makes hunting for resources infinitely easier. It also offers the feature of saving your favorite resources. One Page Love is a database that features one page websites in order to inspire one page website designers. This website offers a variety of web designs trends that have been featured for design excellence. Stock Up indexes pictures from 26 free stock photo websites and offers license info on each photo. It also allows you to search based on the predominant color of the picture. Pexels offers free stock photos that are licensed under the Creative Commons Zero, making them for both personal and commercial use. Startup Stock Photos offers free photos for all startups, publishers, bloggers, and all other designers. Moveast is a website that features a collection of photographs, mainly related to travel, taken by a photographer who wants all his pictures to be used for free by anyone. Another great website that offers thousands of pictures for free, even for commercial use. Database of pictures, mainly travel related, available for anyone to use. You can submit photos of your own, as well as downloading all the existing pictures featured on the website. This website was started by a couple of photographers who wanted to share their photos with designers and bloggers in order to help them create rich digital experiences that greatly improved the appearance of their websites. Offers a great collection of free creative commons HD video clips and footages. Super Famous is another database that allows the use of its photos for any purpose as long as credit is provided. This is another stock free website that offers a variety of beautiful, hi-res photographs. You can also sign up for free and receive 7 photographs every 7 days by email. Free high-res photographs you can use on your personal and commercial projects with new pictures added weekly. Font Squirrel lets you download many of its fonts for free. TypeGenius is another excellent font generator that helps with your web project needs. Google Fonts offers a collection of web fonts for everyone to use. The API service makes it easy to add Google Fonts to any website. All the Google fonts are open source, so they can be shared and customized depending on your preference. Flat Icon is the largest database of free vector icons that works by converting icons into web fonts. Font Awesome is a font and icon toolkit based on CSS. MakeAppIcon generates app icons of all sizes. This icon resizer makes your icon designs compatible with iOS and Android. Ico Moon lets you browse through 4000+ free vector icons and allows you to make your own fonts by importing SVGs. Icon Finder offers over 100,000 icons to use for free. UI Names is a name generating tool for use in designs and mockups. Offers 60 free vector Photoshop icons ideal for your iPhone and iPad apps, or any other web project. Offers 750 icons in SVG and CSS sprites, as well as Hi-dpi versions of all icons. Unique icon database with new icons added daily. Free PSD downloads and resources by Dribbblers. The post 51 Free Web Design Resources Guaranteed To Help You Design Better appeared first on Line25.